CBN.com  (Excerpt from Why a Manger ) Ask anyone who celebrates Christmas where the Christ-child was born, and most will name Bethlehem. Carols like "0 Little Town of Bethlehem" memorialize its fame. Many could also explain why dusty, insignificant Bethlehem was chosen for such an important event. In Hebrew, Bethlehem means "House of Bread." It was prophesied that Messiah, "the Bread sent down from heaven to feed the souls of mankind," would be a descendent of King David. He would also be born in the same city where David, the shepherd-king of Israel, was born - Bethlehem! The bawling of sheep rang across the fields of Bethlehem. Migdal Eder, the Tower of the Flock, was the place where lambs destined for the Temple were born and raised. Every firstborn male lamb from the area around Bethlehem was considered holy, set aside for sacrifice in Jerusalem. Generations of hereditary shepherds tended the sacred flocks. They were common folk, used to many cold, lonely nights in the fields. As protectors of the sheep, they risked their lives to keep the animals from going astray ... and falling into the many ravines of the hill country. After pouring their lives out into their flocks, the shepherds would separate the lambs, choosing only the perfect firstborn males to drive to Jerusalem. There the lambs would be purchased by those who wished to atone for their sins. On the same mountain where Abraham had offered his son to the Lord, the lambs would shed their blood and lose their lives as that atonement. It was an endless cycle. "Sacrifice and offering you did not desire, but a body you prepared for me, with burnt offerings and sin offerings you were not pleased. John the Baptist called Jesus not only the "Son of God" (John 1:34) but also the "Lamb of God" (John 1:36). The Firstborn Lamb of God would sacrifice his life to atone for the sins of all - a one-time perfect sacrifice, offered by the Father God Himself. Where else would "the Lamb of God, who takes away the sin of the world" (John 1:29) have to be born if not Bethlehem, among the sacred Temple flocks? But the way in which the Lamb would arrive remained a mystery to be solved.There had been so many years of longing for the Messiah to come and avenge the wrongs of a depraved world. So many years of hoping for the fall of evil rulers ... and the revealing of the One who would be King forever. So many years of waiting in expectant hope ... and never seeing an answer. Yet when Messiah did come, who in all Israel knew it? Only a handful were aware of the miracle, and most of them were common folk - the humble shepherds of Bethlehem. 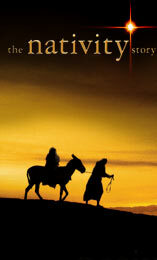 Why would Messiah choose to arrive in such an out-of-way place as Bethlehem? And why would the shepherds be the first to greet him? Even this was in God's eternal plan. The greatest King of all would arrive in Little Bethlehem, the City of David, the city of shepherds. The place where sacrificial lambs were born and raised. He was placed in a manger. What did that sign mean to the shepherds? What does it mean to you today? Excerpted from Why a Manger?, copyright © 2006 by Bodie and Brock Thoene. Used by Permission.